High quality construction, great floor plan, large fenced backyard! 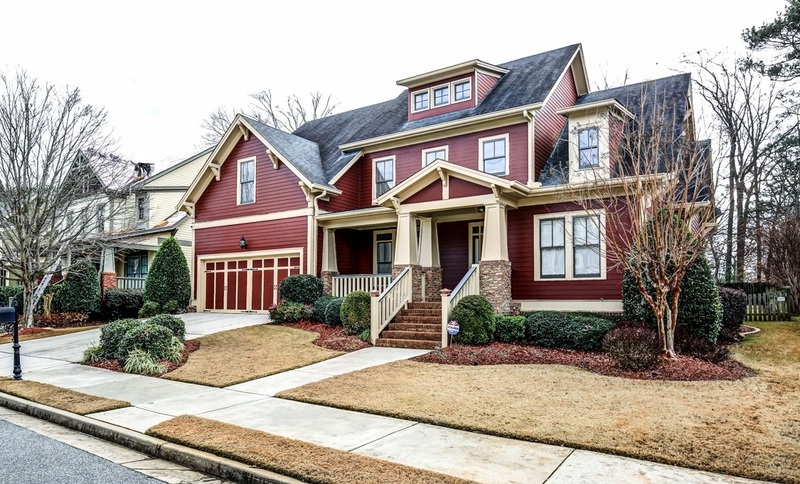 This 4BR/2.5BA Craftsman style home offers lots of house for the price in a super convenient location, allowing an easy commute to the Emory/CDC/Mercer campuses plus nearby shopping and dining all within a quaint, cul-de-sac neighborhood! One of the largest floor plans, the homes boasts a separate office/study on main and a bonus upstairs loft, perfect for family den or playroom! You will love the well appointed, eat-in kitchen with granite counters and stainless appliances and the large family room with one of two stone fireplaces. The sunny breakfast room opens to a large fenced and level backyard with expansive party deck! There is also a separate dining room for entertaining. Also on main is an oversized master suite with soaking tub, separate shower, double vanities and a large walk-in closet. The three bedrooms upstairs are spacious and offer plenty of room for family or extra guests! Upgrades include a “smart home” (Nest) system, professionally encapsulated crawl space, built-in speakers and a large deck for outdoor enjoyment. Carrington Pointe offers a convenient and central location just minutes to Northlake, Downtown Decatur, Stone Stone Mountain and I-285.